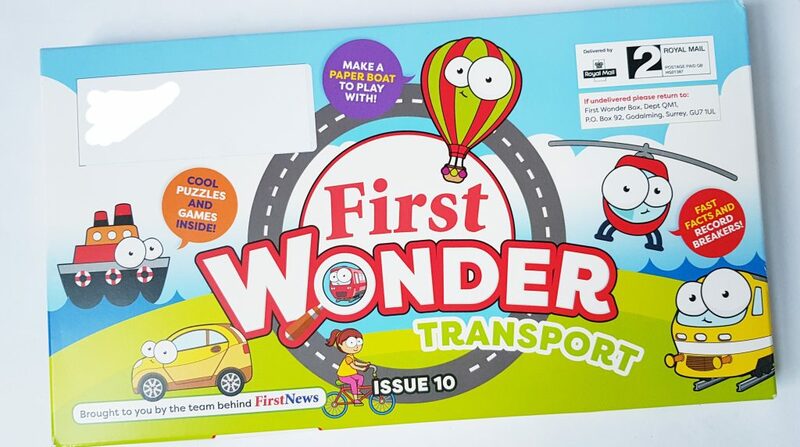 First Wonder Box has been created by the same people who publish First News, a newspaper for children. 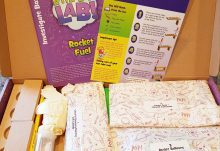 This box is aimed at kids age 4 – 8, and includes games, crafts, toys, and activities. The box shows you the theme. Terrific bright colours! The packaging is very clever. It unfolds and is a plaything in itself! 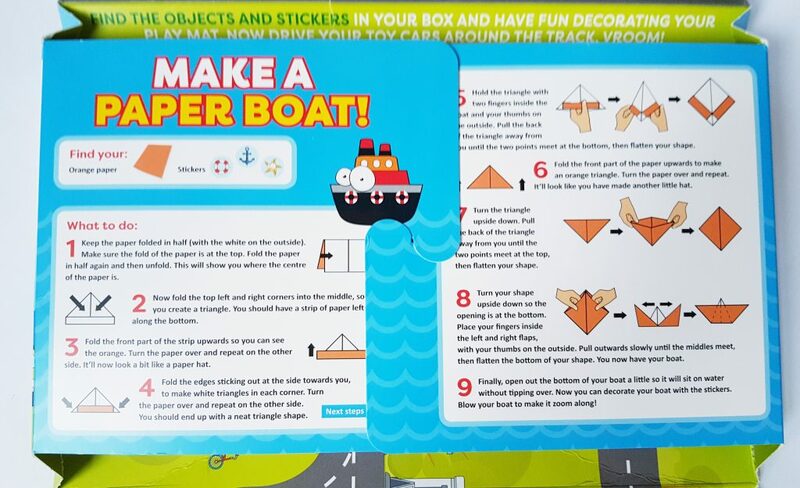 First there are instructions for making a paper boat. There’s even a piece of paper included to try it out! Open it up completely and you have a play mat with roads and buildings. 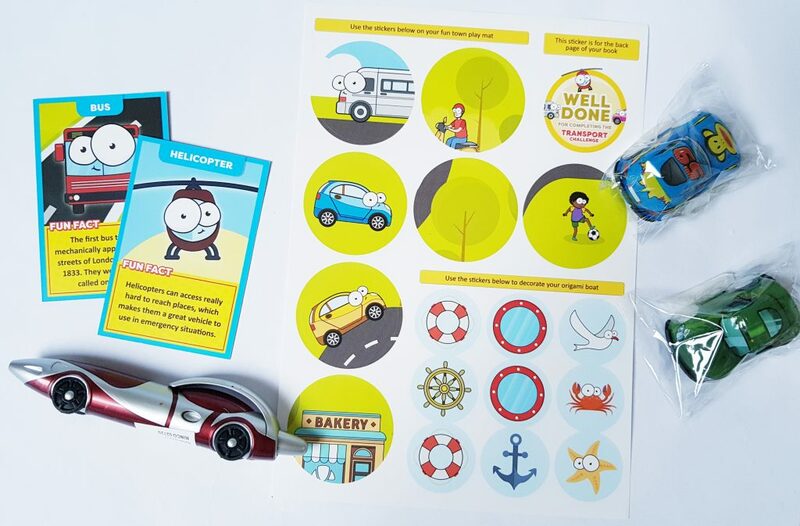 You also get stickers, and two little toy cars. The cars are the pull-back kind, that zip along like crazy. 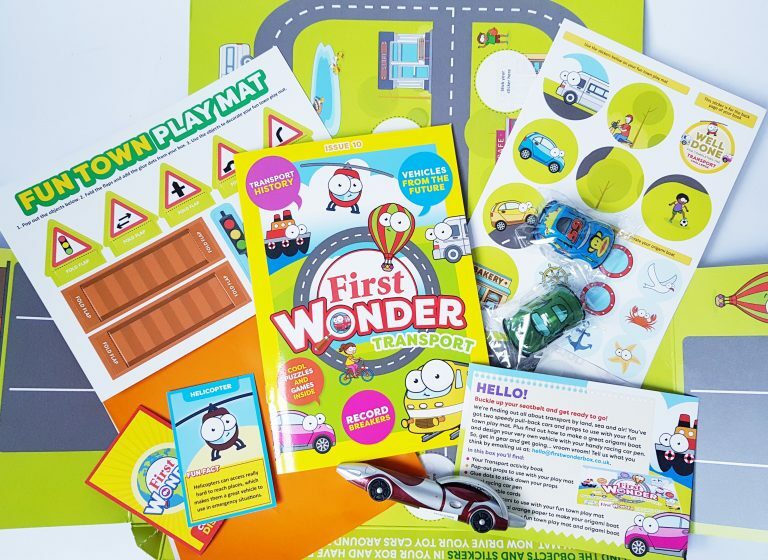 There’s also a really cool car-shaped pen, plus some trivia cards which go in the First Wonder album (included with your first box). 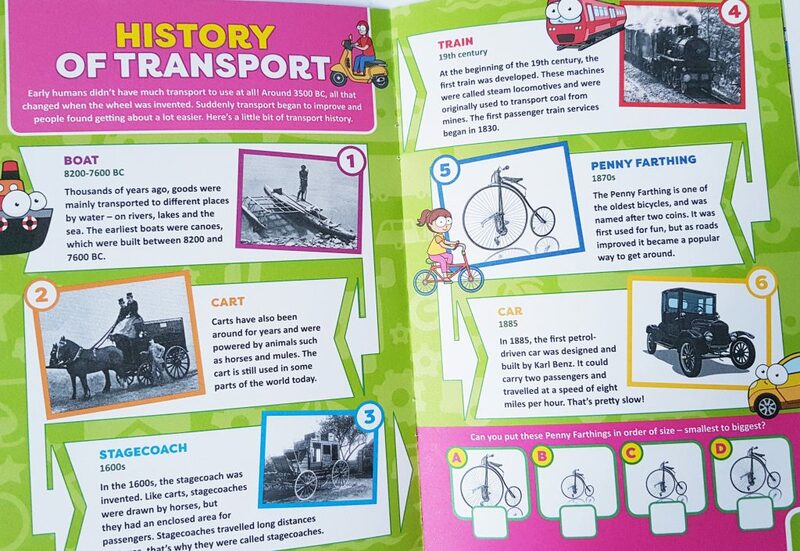 The activity booklet is the real star of the show. It’s both educational and entertaining. 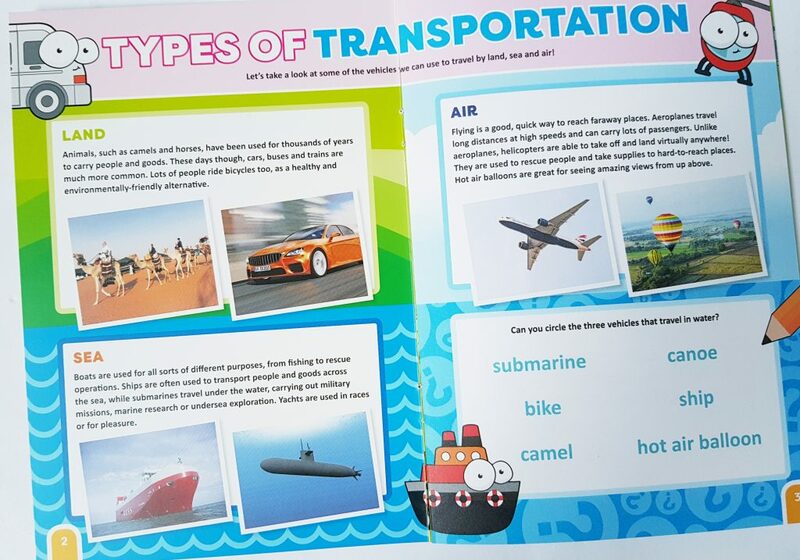 For example, you’ve got pages about Types of Transportation, and the History of Transport. Lots to find out! 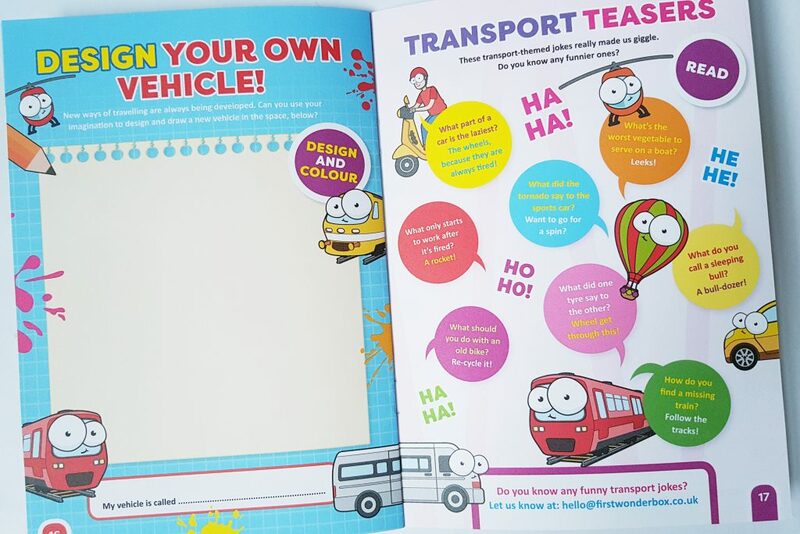 There’s also lots to do, from maths and wordsearches, to artwork and imaginative design, plus some silly jokes! There is plenty to get out of this box. 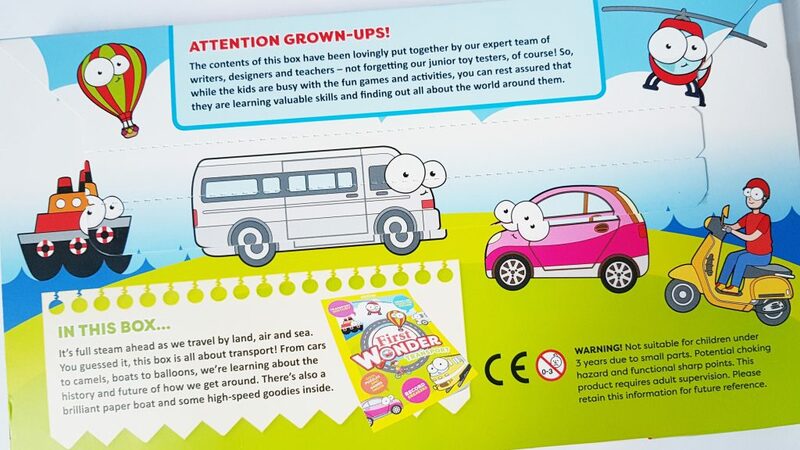 It’s terrific for learning, and information is very well laid out to engage children. There’s also just enough detail to be interesting without being overwhelming. 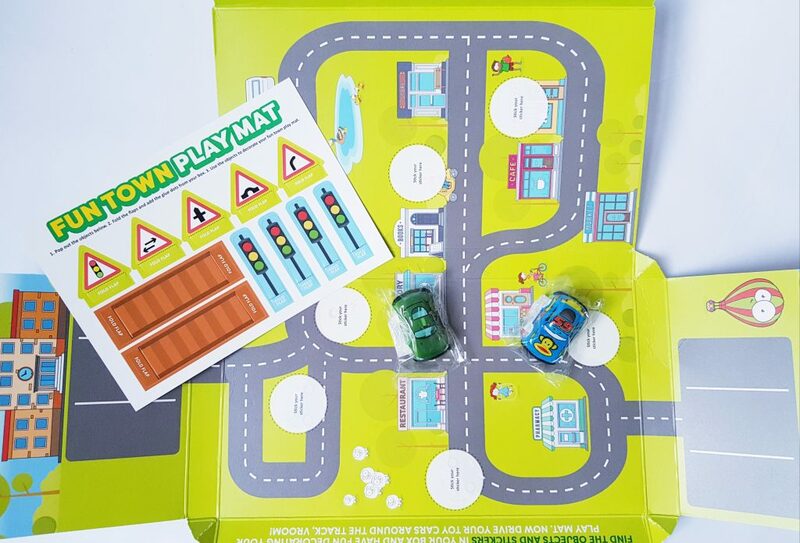 It’s lovely to have little toys included, and the playmat should get a lot of use! £7.95 a month is incredible value for something that children will get a great deal out of. 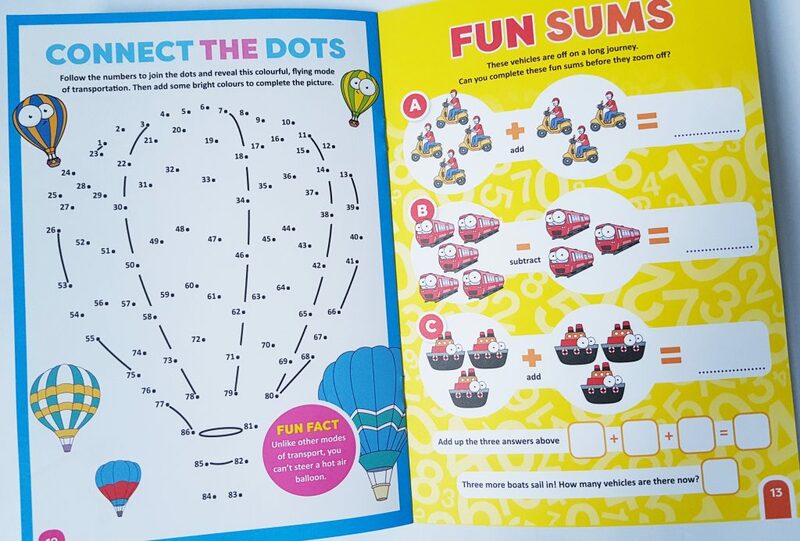 The activity books are good quality and can be kept to look through again and again. 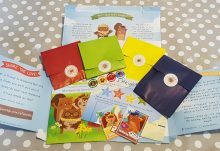 The themes themselves are neutral and will appeal to all children, and it’s a terrific way to make learning fun. There's far more value in the box than you would think for the price! 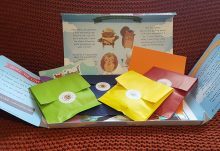 A lovely way for kids to learn with fun and creativity. How would you rate First Wonder Box ?